This is an old revision of this page, as edited by Lsnguyen19707 (talk | contribs) at 04:50, 25 November 2014. The present address (URL) is a permanent link to this revision, which may differ significantly from the current revision. For other uses, see Sharp. 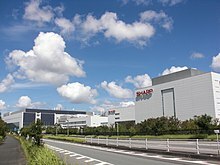 Sharp Corporation (シャープ株式会社, Shāpu Kabushiki-gaisha) is a Japanese multinational corporation that designs and manufactures electronic products. Headquartered in Abeno-ku, Osaka, Japan, Sharp employed 50,253 people worldwide as of March 2014. The company was founded in September 1912 and takes its name from one of its founder's first inventions, the Ever-Sharp mechanical pencil, which was invented by Tokuji Hayakawa (早川 徳次) in 1915. Sharp Corporation was previously the fifth-largest[clarification needed] television manufacturer in the world, after Samsung, LG, Sony, and Panasonic. Since 2000, Sharp has heavily invested in LCD panel manufacturing plants; Kameyama in 2004, Sakai in 2009. The Sakai plant is still the only 10th generation LCD manufacturing plant on the globe and best fit for production of 60 inch or larger panels. However, the 2008 financial crisis and strong Yen (especially against Won) significantly lowered world demand for Japanese LCD panels. Furthermore, the switch to digital TV broadcasting was virtually completed in Japan by the middle of 2011. Via Japanese government issued coupons for digital TV sets, consumers were encouraged to purchase digital TV sets until March 2011. This hit the Japanese LCD TV market, reducing it almost by half from 2010. All of those events strongly hit Sharp's LCD business. As the result, the Sakai LCD plant suffered a reduced operating rate until Fall 2012. In 1912, Tokuji Hayakawa (早川 徳次) founded a metal workshop in Tokyo. The first of his many inventions was a snap buckle named 'Tokubijo'. Another of his inventions was the Ever-Sharp mechanical pencil in 1915, from which the Sharp Corporation derived its name. After the pencil business was destroyed by the 1923 Great Kantō earthquake, the company relocated to Osaka and began designing the first generation of Japanese radio sets. These went on sale in 1925. In 1953, Sharp started producing television sets. In 1964, Sharp developed the world's first transistor calculator, which was priced at ¥535,000 (US$1,400). It took Sharp several years to develop the product as they had no experience in making computing devices at the time. Two years later, in 1966, Sharp introduced its first IC calculator using 145 Mitsubishi-made bipolar ICs, priced at ¥350,000 (about US$1000). Its first LSI calculator was introduced in 1969. This was the first pocketable calculator priced at less than ¥100,000 (less than US$300), and turned out to be a popular item. The company produced the first LCD calculator in 1973. Sharp had a working relationship with Nintendo during the 1980s, and was granted licensing rights for the manufacture and development of the C1 NES TV (1983, later released in North America as the Sharp Nintendo Television), the Twin Famicom (1986), the Sharp Famicom Titler (1989), and the SF-1 SNES TV (1990). All of these units are considered collectors items on the secondary market. One of the company's main inventors of LCD calculators was Tadashi Sasaki. Sharp's Mobile Communications Division created the world's first commercial camera phone, the J-SH04, in Japan in 1997. In 2008, Sharp collaborated with Emblaze Mobile on the Monolith, "...an ambitious project to design the ultimate holistic mobile device". The project was never brought to market. Key software developers were later picked up by other companies. Sharp acquired a controlling stake in Pioneer Corporation in 2007. On 25 June 2009, Sharp and Pioneer agreed to form a joint venture comprising their optical businesses, called "Pioneer Digital Design and Manufacturing Corporation". In March 2012 the Taiwan-based electronics company Foxconn|Hon Hai(commonly known as Foxconn) agreed to acquire a 10 percent stake in Sharp Corporation for US$806 million, and to purchase up to 50 percent of the LCD displays produced at Sharp's plant in Sakai, Japan. In June 2012, Hon Hai Chairman Terry Gou paid money for Sakai plant and got 50% ownership of the plant. However, since the announcement in March, Sharp's share price continued declining and reached 192yen at Aug 3. Original Hon Hai - Sharp deal's price was 550yen per share. Finally both companies agreed to renegotiate the share price. But both companies never came to an agreement. Sharp announced it accepted a US$100 million investment from Samsung in March 2013. The Sharp AQUOS SH-12C mobile phone (Japanese market). Core technologies and products include: LCD panels, solar panels, mobile phones, audio-visual entertainment equipment, video projectors, Multi-Function Printing Devices, microwave ovens, air conditioners, cash registers, CMOS and CCD sensors, and flash memory. The first commercial camera phone was also made by Sharp for the Japanese market in November 2000. Recent products include the ViewCam, the Ultra-Lite notebook PC, the Zaurus personal digital assistant, Sidekick 3, and the AQUOS flat screen television. Sharp manufactures consumer electronic products, including LCD televisions, sold under the Aquos brand, mobile phones, microwave ovens, Home cinema and audio systems, air purification systems, fax machines and calculators. For the business market, Sharp also produces projectors and monitors and a variety of photocopiers and Laser Printers, in addition to electronic cash registers and Point of sale technologies. In the field of multifunction printers (MFD) has won awards from BLI and BERTL, two firms providing competitive intelligence and test reviews in the print industry. SHARP's MX2600N and MX3100N printers included version 3 of the company's Open System Architecture (OSA3),which allows third party developers to directly integrate their business applications with the MFD. Sharp Solar is a supplier of silicon photovoltaic (PV) solar cells, and offers a solar TV. In Q1 2010 the company made the highest revenues from production of solar PV systems. The current Sharp world headquarters in Osaka, Japan. The Sharp factory in Taki, Mie, Japan. Net sales for the year 2003 were $16.8 billion. The Corporation employs 46,600 staff, of which around half live outside Japan. It operates from 64 bases in 30 countries and its products are distributed in 164 countries worldwide. Many of its regional subsidiaries trade under the name "Sharp Electronics". 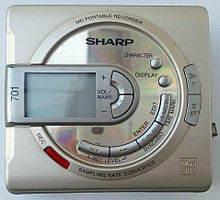 Sharp was among the Top 100 R&D Spenders in a list published by the IEEE Spectrum magazine in 2002. On November 8, 2008, Department of Justice announced that Sharp agreed to pay US$ 120 million as criminal fine. According to the announcement, Sharp participated the conspiracies to fix the price of TFT LCD panel for Dell's computer monitors and laptops (2001 - 2005), Motorola's Razr phones (2005 - 2006) and Apple's iPod (2005 -2006). On December 18, 2008, Japan Fair Trade Commission ordered Sharp to pay 261 million yen (US$ 3 million) as criminal fine. According to the order, Sharp and Hitachi Display participated the conspiracies to keep the price for TFT LCD panels for Nintendo DS and DS-Lite. Fine for Hitachi Displays was waived by JFTC leniency program. However, Sharp disagreed JFTC order and announced to begin appeal procedure against JFTC order on Feb 2, 2009. July 31, 2013, JFTC dismissed Sharp's appeal. In November 2011 Sharp was ranked in 11th place by Greenpeace’s re-launched Guide to Greener Electronics that ranks 15 electronics manufacturers according to their policies and practices to reduce their impact on the climate, produce greener products, and make their operations more sustainable. Greenpeace summarizes the corporation's environmental record thusly: "Sharp supports a new renewable energy law in Japan but scores poor on all sustainable operations criteria." Sharp scored 3/10 and received most of its points on the Products criteria where the company was praised for the energy efficiency of its products with all of its TVs meeting the latest Energy Star standard. It also gained some points for having a relative long term target to reduce CO2 emissions by 2 percent (per production unit) compared to the previous year, yet sets out no clear target for absolute reductions. The company was also praised for its public support for a clean energy policy, after advocating the Japanese Government to increase the use of renewable energy. Sharp scored least points in the guide in the Sustainable Operations category, scoring no points for chemical management due to not communicating commitments made on phasing out hazardous substances in its supply chain. The guide also notes that Sharp have lacked any initiative to address the issue of conflict minerals and the exclusion of paper sourced from suppliers involved in illegal logging or deforestation. Sharp was the principal sponsor of Manchester United Football Club from 1983 until 2000, in one of the lengthiest and most lucrative sponsorship deals in English football. Sharp's logo was on the front of United's shirts over these 17 years, during which the team won seven Premier League titles, five FA Cups, one Football League Cup, one European Cup Winners' Cup and one Champions Cup. In June 2012, Sharp became name sponsors of a UCI World Tour cycling team, which thereupon became known as Garmin-Sharp. ^ Atsuko Fukase. "Sharp Considers 10,000 Job Cuts". Wall Street Journal. ^ "Consolidated Financial Results for the Year Ended March 31, 2014" (PDF). ^ "Eversharp history". Vintage Pens. Retrieved 2007-07-15. ^ Odagiri, Hiroyuki (1996). Technology and Industrial Development in Japan. Clarendon Press, Oxford. p. 170. ISBN 0-19-828802-6. ^ "The Monolith Project". Emblaze Mobile. Retrieved 2008-10-08. ^ "Foxconn owner Hon Hai buying 10 percent stake in Japanese electronics giant Sharp for $806M". The Washington Post. 27 March 2012. Retrieved 27 March 2012. ^ "Deal reached with Sharp to renegotiate stake price: Hon Hai". The Daily China. 2012-08-04. Retrieved 2012-11-19. ^ "Sharp to accept investment from Samsung, expand LCD panel supply". Mainichi Japan. 2013-03-06. Retrieved 2013-05-07. ^ Takenaka, Kiyoshi (2008-05-25). "Sony says develops cost-efficient solar cells". Reuters. ^ "Sharp Deutschland Solar - Photovoltaik und Solarmodule". Retrieved 10 October 2014. ^ "LG, Sharp, Chunghwa Agree to Plead Guilty, Pay Total of $585 Million in Fines for Participating in LCD Price-fixing Conspiracies". US Department of Justice. 2008-11-12. Retrieved 2013-06-20. ^ "Cease and Desist Order and Surcharge Payment Order against Manufacturers of TFT Liquid Crystal Display Module for "Nintendo DS" and "Nintendo DS Lite"". Japan Fair Trade Commission. 2008-12-18. Retrieved 2013-06-21. ^ "Complaints against the Cease and Desist Order and the Administrative Surcharge Payment Order of the Japan Fair Trade Commission". Sharp Corp. 2009-02-02. Retrieved 2013-06-21. ^ "About Sharp's appeal for TFT panel price cartel". Japan Fair Trade Commission (in Japanese). 2013-07-13. Retrieved 2013-08-21. ^ a b c "Guide to Greener Electronics - Greenpeace International". Greenpeace International. Retrieved 16 November 2011. ^ "Vodafone in £30m Man Utd tie-up". BBC News Online (Business). 11 February 2000. Retrieved 2008-04-08. ^ "United must find new shirt sponsor". CNN.com International. 24 November 2005. Retrieved 2008-04-08.